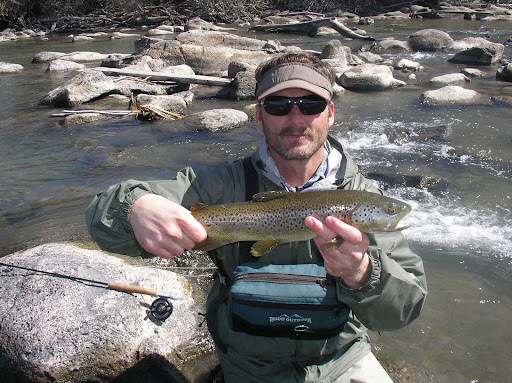 Streamer Fishing for Brown Trout. Matt and I fished the Mini-Madison this afternoon and it was alright. We both caught a few small ones. . .
Nice Fish Andy. Lookin forward to getting out myself this year. Yup, they look small to me too. LOL!